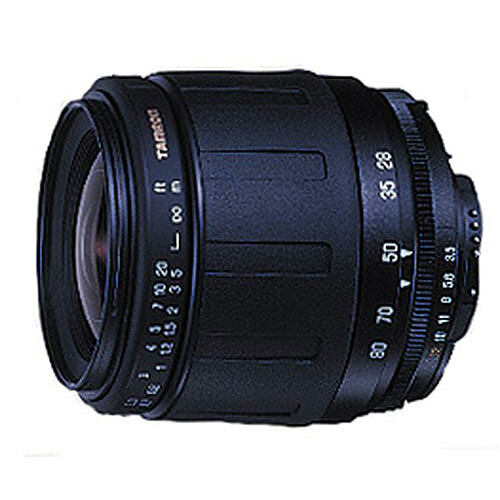 Lens Description: A standard zoom lens from a wide 28mm to a medium telephoto range of 80mm. The use of aspherical elements in the front group reduces the number of elements required, and the use of strong engineering plastic in the barrel makes the body a light 237g. Consequently, it is easy to carry.